A common cause of neck pain, especially in older patients, is cervical stenosis. Cervical stenosis is a narrowing of the spinal canal in the neck area or upper part of the spine. This narrowing places pressure on the spinal cord. 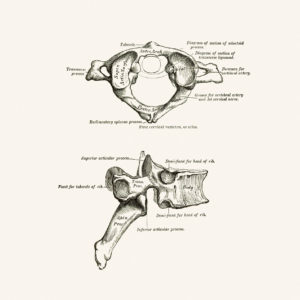 While some patients are born with this narrowing, most cases of cervical stenosis occur to patients over the age of 50 and are the result of aging and “wear and tear” on the spine. Diagnostic tests. Generally, doctors start with plain x-rays, which enable them to rule out other problems such as tumors and infections. CT scans and MRIs give three-dimensional views of the cervical spine and can help detect osteophytes (bony growths) and herniated discs. Occasionally doctors use a myelogram. This is a test that involves injecting liquid contrast dye into the spinal column to show where the spinal cord pressure is occurring. The most common surgery for cervical stenosis is called a decompressive laminectomy in which the laminae (roof) of the vertebrae are removed, creating more space in the spinal canal for the nerves. If only a portion of the laminae need to be removed, it is called a laminotomy. Your surgeon may also consider performing a posterior laminoplasty. This technique helps to retain spinal stability while also expanding the spinal canal. If there are any herniated or bulging discs, these may also be removed (this is called a discectomy) to increase canal space. Sometimes the foramen (the area where the nerve roots exit the spinal canal) also need to be enlarged. This procedure is called a foraminotomy. Most patients can begin getting out of bed on the same day surgery is performed! Activity is gradually increased and patients are typically able to go home within a few days after their procedure, depending on the extent of the surgery. As with most surgeries, there will be some pain after the procedure. However, doctors have pain medications available that will help keep you comfortable. Doctors today take pain management very seriously! At home, you will need to continue to rest. You will be instructed on how to gradually increase your activity. You may still need to take the pain medications for a while. However, pain and discomfort should begin to reduce within a week or two after surgery. Other techniques for reducing pain and increasing flexibility will be discussed with you before you leave for home. When you can return to work and other activities such as sports and driving will also be discussed with you by your doctor.